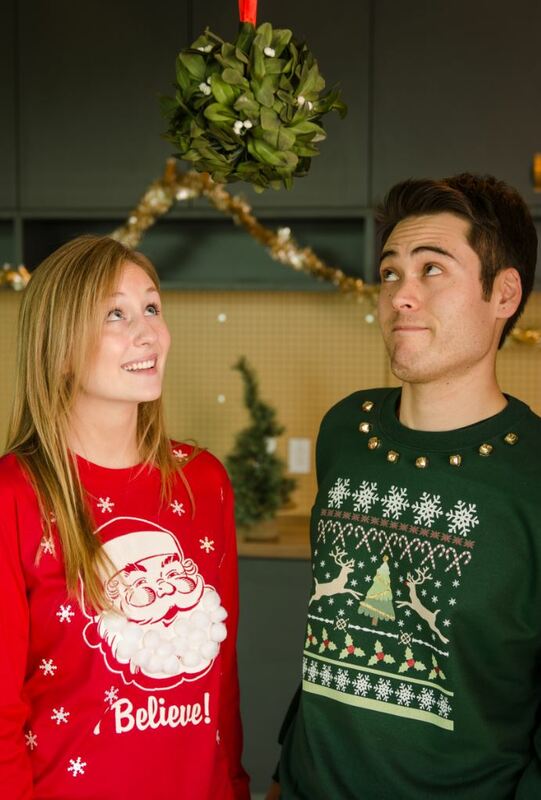 If your mom’s 1980′s hand-knit holiday sweater isn’t available for the taking, we have just the solution! 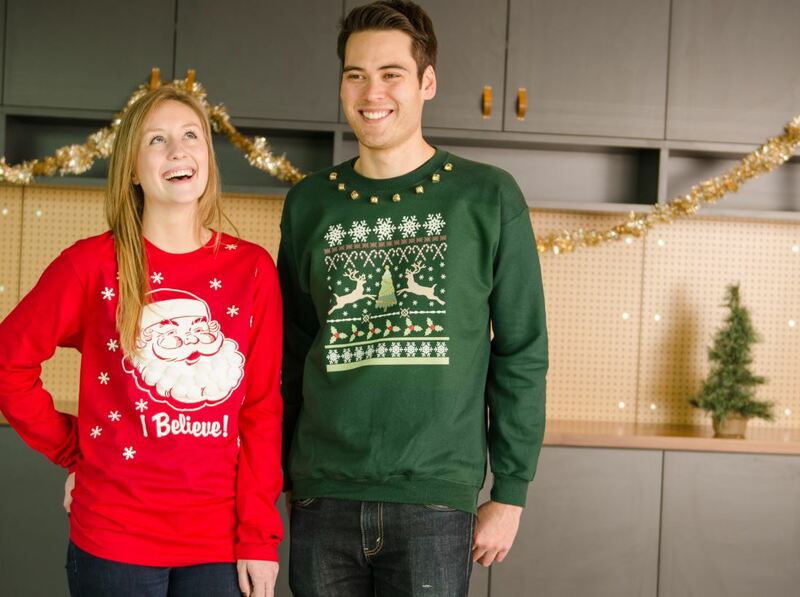 With this quick and simple tutorial from Zazzle, we’ll show you how to turn some not-so-ugly sweaters into duds that you’ll be proud to don at your next Ugly Christmas Sweater party. Miscellaneous embellishments for your particular sweater design. We used pom poms, glitter glue, jingle bells, and sequin. 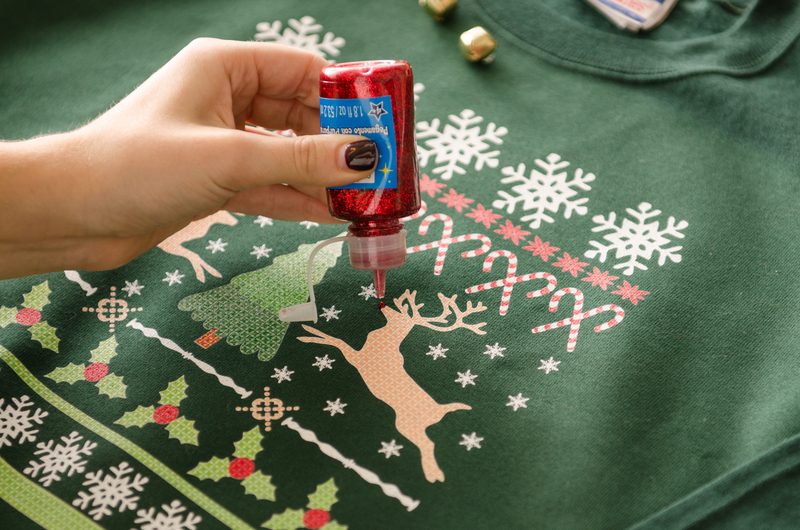 Some other ideas for embellishments include: googly eye, pipe cleaners, and confetti. 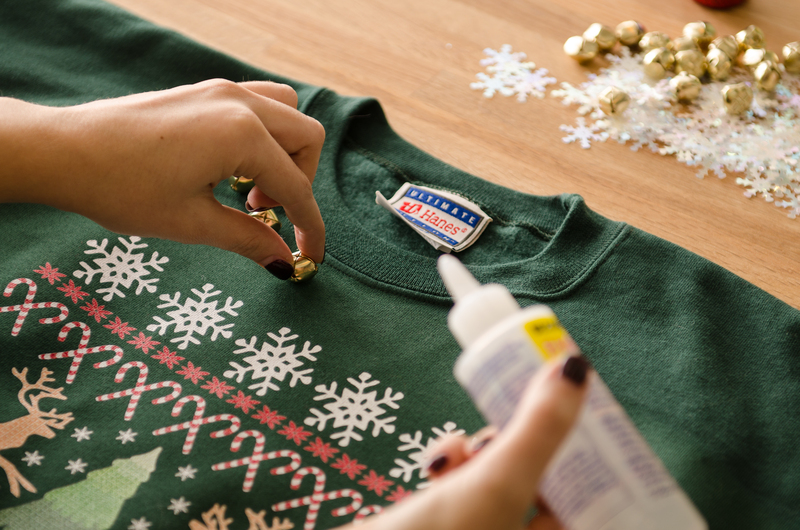 Step 1: Gather your sweater and add any embellishments that work with the sweater’s patterns. Step 2: Glue! 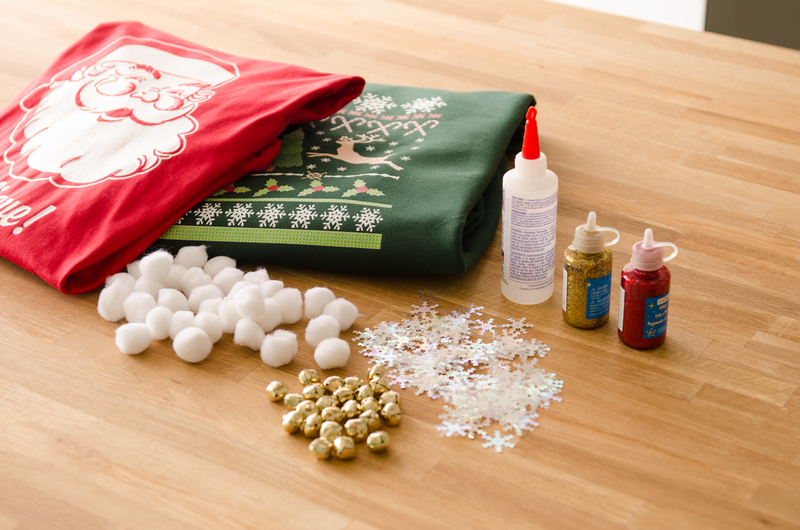 For the Santa sweater, we added white pom pom balls to the beard and snowflake shaped sequin around as accouterments. 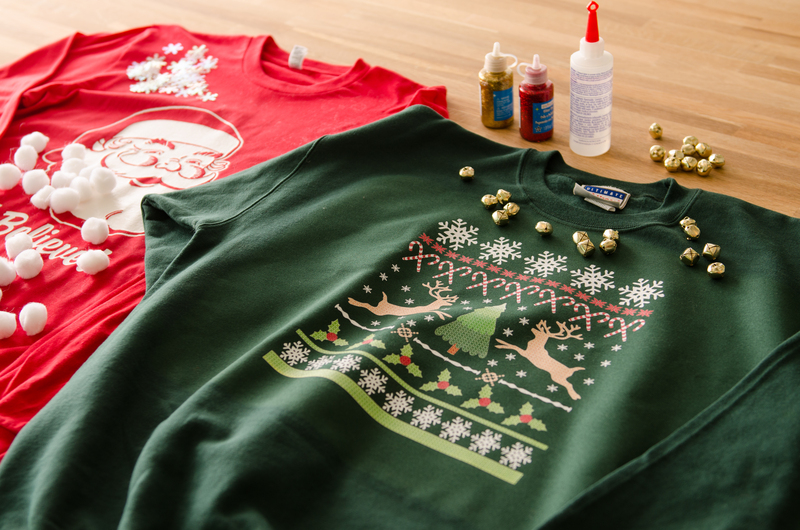 To add a bit of obnoxiousness to the old-school, green sweater we added a collar of tiny jingle bells. We also included gold glitter glue to the tree design and a red glittered dot for Rudolph’s nose. Step 3: Party! Top your outfit off with a tacky hat and some battery-powered lights. If you throw a Ugly Christmas Sweater Party this holiday season and follow these simple steps, you’re sure to be the Ugliest of the Uglies. You may even get a mistletoe kiss.